Straight shooters at an affordable price. 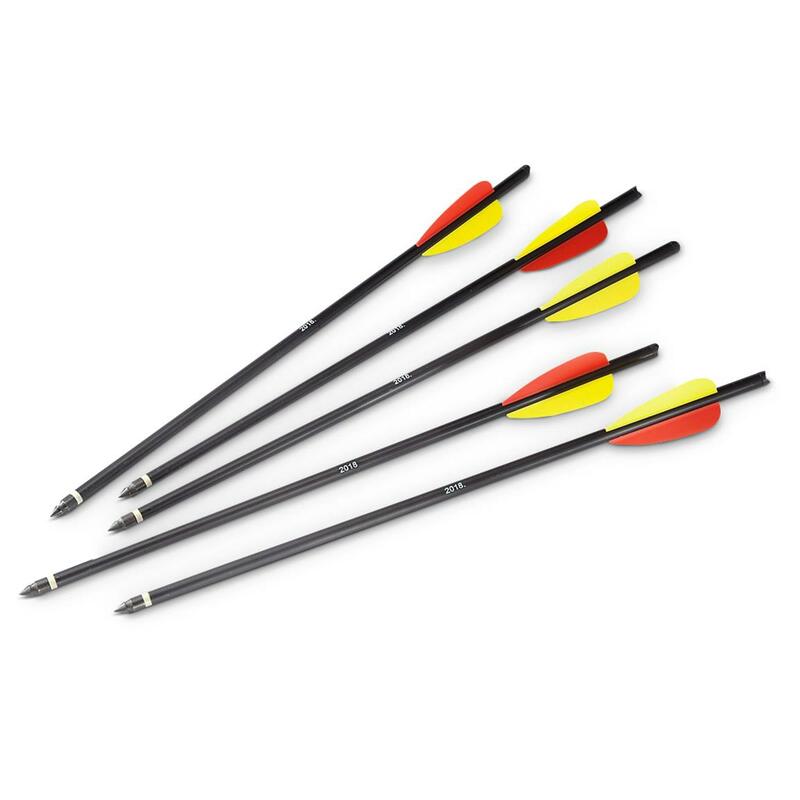 Take aim at this 5-pack of Aluminum Crossbow Bolts and fill your quiver with straight-shooting arrows at a great price. 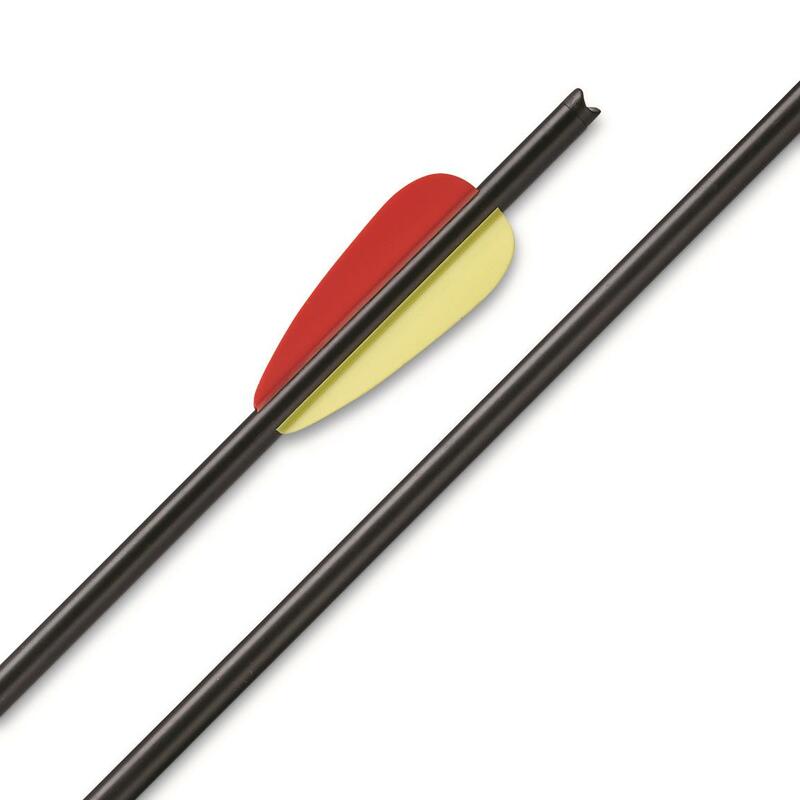 They're feature strong, lightweight, 2018 aluminum shafts with 2.5" plastic vanes for true flight. Each is equipped with 300-grain field point that can be switched out as desired. Aluminum Crossbow Bolts, 15 , 5 Pack is rated 4.2 out of 5 by 17. Rated 5 out of 5 by Jim70 from Great product Great bolts for the price. Fast shipping and faster shooting! Rated 5 out of 5 by Bill from Great value I received the item very quick. The item performed better than I expected. A good quality product at a great price. Thanks sportsman. Rated 4 out of 5 by taildragger from Nice Target Bolts Good quality, good price, surprised they came equipped with good field tips !!! Just right for my lightweight target crossbow. BOLT Crossbows Burst Fast Cocking Pistol Grip Crossbow with Three Bolts, 80 lbs. Feeling the pull to try a crossbow? Try this! The total package for serious Crossbow hunters.